TSI has been in the moving and shipping industry for over 27 years. We have the experience to get your goods to their destination safely. Call our logistics specialists at 1-800-626-1257 to discuss your fragile shipping needs and get an instant quote. Pianos Grands, baby grands, spinets, etc. Electronics Servers, audio systems, ATMs, etc. We offer two options for shipping valuable items. Our blanket wrap moving service is economical and requires no crating. Our experienced movers prepare your items for safe transport. For higher end pieces, we recommend crating. Not only is it added safety for your piece, but also meets antique shipping insurance guidelines for high-value items. Both services include in-home pickup and delivery when you choose our White Glove service. We highly recommend using our White Glove service when shipping your fragile or valuable items. Our professional movers come inside your home and prepare your furniture items for safe transport. 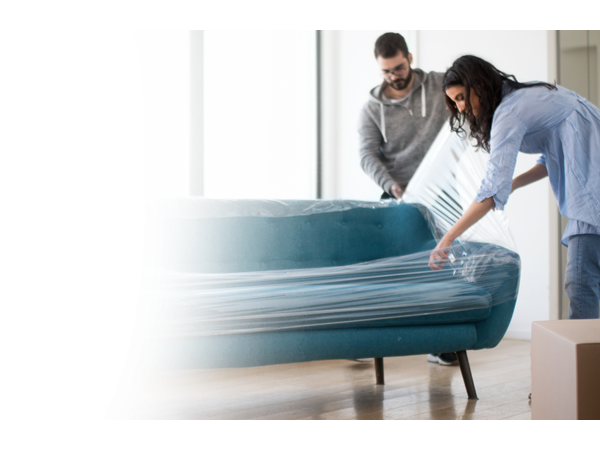 Once ready, our two man moving crew loads your furniture onto the truck and go on their way. Upon arrival, our movers provide in-home delivery. Just point to where you want your furniture and they’ll do the rest. Sit back and enjoy your stress-free freight moving or shipping process. Why trust TSI with shipping valuables? TSI has been shipping fragile items for nearly three decades. We know what it takes to get your items to their destination safely and at an affordable rate. We only work with the best of the best. Our carriers are leaders in the moving and shipping industry. They know their stuff. Your items will be prepared properly and handled with care, by movers who have a proven track record. Our logistics specialist work with your timeframe and budget to create a customized shipping or moving plan for you. They help you with documentation and classification, so you can relax. At TSI, we aim to provide a seamless and simple solution to your valuable and fragile shipping problems. Your price quote includes the federally mandated shipping insurance. We also offer additional coverage, which we highly suggest when shipping valuable items. In the unlikely event that something is damaged, you’ll be covered. Need something valuable or fragile shipped? We want to help you get your items to their destination safely. Give us a call at 1-800-626-1257 to get started. Or request an online quote now.